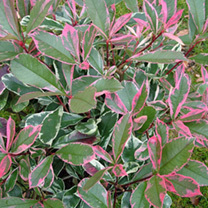 Photinia Pink Marble is an evergreen shrub whose green foligae is variegated cream. New growth is flushed with pink as they first emerge creating a colourful display. 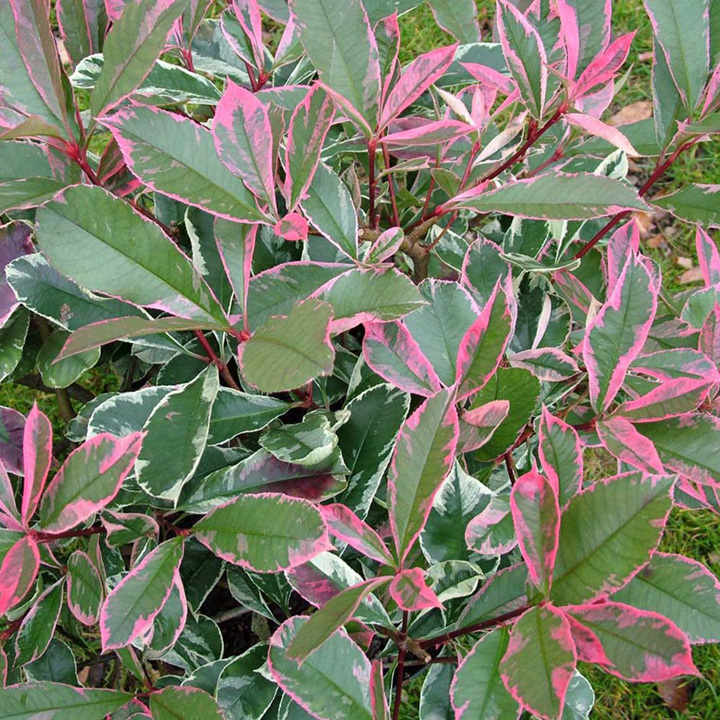 A striking variety that can be grown as a specimen plant or as part of an informal hedge. Height 301+cm. Supplied in a 7.5-10 litre pot.